An American company with nearly 100 years in business, Rheem has been a pioneer in developing some of the most innovative advancements in water heating. 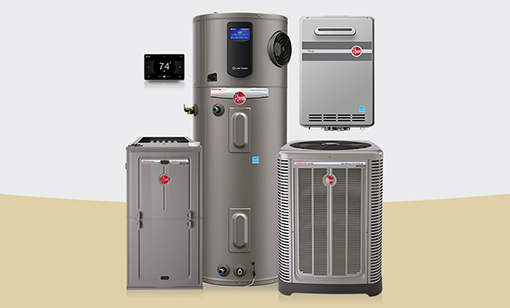 With a long list of award-winning solutions, Rheem continues to deliver advanced comfort, savings, and experiences to our customers. With local headquarters in Singapore for 50 years and regionally located factories, we can deliver region-specific designed products quicker. With a wide range of products, we have something to fit almost every water heating need across ASEAN. The proof in having over 1,000,000 water heaters installed across ASEAN. We are also proud to be the preferred choice for ASEAN commercial applications with 1000s of installed locations. Rheem is making a difference with our ambitious 2025 goals. We continue to lead with our bold approach to improvements for our products and processes to dramatically cut our impact on the environment, while empowering both our customers and employees to work and live sustainably. It’s all a part of our bold vision for the future. Degree of Efficiency: Reduce greenhouse gas emissions by 50% and achieve zero waste to landfill. Degree of Leadership: Train 250,000 plumbers and contractors on sustainable products or sustainable installation and recycling best practices.